Are They Currants or Raisins? 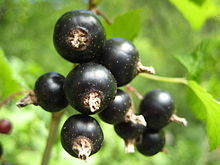 : A short essay making a case that blackcurrants are real currants while "Zante currants" (which are known simply as "currants" in the U.S. and some other parts of the world) are not. 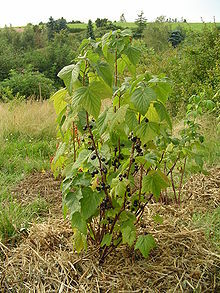 It shows no awareness of the theory that blackcurrants and redcurrants took their English name from Zante currants, which seem be the same fruits that were called "raysons of coraunce" (with various spellings) in Middle English, from Old French "raisins de Corauntz". It also mistakenly gives the confusion a recent date. Tauli yang miyalilan ining bulung anyang 08:38, 15 Eneru 2014.